Congrats to the lads who put the hard work in to preparing the car for the Tipperary campaign. Without this dedication our village would be a poorer place. 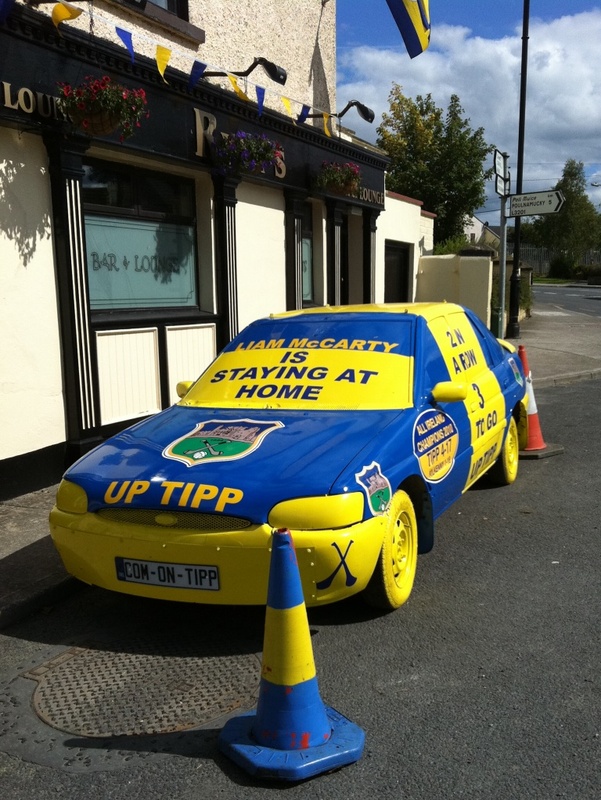 Shame on some of our local ‘citizens’ who took the Tipp jersey off the mannequin that was on top of the car. Bad form lads. The lads are very busy around Clerihan. See photo in tipperary photos of our Clerihan Lotto Sign. I travel a lot and see a lot of lotto signs – Clerihan is the only place that I see that the signs are interfered with.